It's Blizzcon time again and I can't help but get excited. I'm going to use this space to blog about the news as it happens. Is there anything you're looking forward to? The biggest news is obviously the announcement of Overwatch. It's a Team Fortress 2 inspired shooter that I will probably never play, but it sure looks beautiful. The cinematic looks like something I would watch in a theater, it's that good. It was good to see a bigger announcement about the final Starcraft II expansion, Legacy of the Void. If anything, I'm glad that they are finally bringing that game in for a landing. Blizzard does things on ValveBlizzard time, but I'm still glad they are done. Maybe I'll try playing the campaign one of these days. And, of course, more news about Hearthstone. I continue to bounce off that game every time I try it, but I'm glad it's being supported in several different ways. I thought the Curse of Naxxramas expansion was fascinating, but a traditional expansion seems like a good move. So that was Blizzcon. What did you think of the announcements? © 2014 Marty Runyon. All rights reserved. About two months ago, an eternity in internet time, I wrote an impassioned defense of the term "gamer". I have always identified as a gamer. Games have helped me through hard times. Games have given me opportunities to make friends when I might otherwise find it difficult. So as the GamerGate mess was just forming, I decided to toss in my two cents. I was wrong to do so. A lot of what I see in GamerGate is people in pain. People like myself, hurt by the very people that they thought of as allies. I understand it because that is what I felt. I was confused because I did not know why I was being attacked for being even tangentially tied to the horrific events that were underway. In the midst of all that, I rushed to my own defense as though it was ever really about me. But instead of speaking, I should have been listening. Instead of writing, I should have been reading. GamerGate has never been about me. It is about the pain and suffering inflicted by people I might once have called friends. And so, far too late, I apologize. I hope that those who identify with GamerGate come to realize that their lashing out as though they are the victims will do more harm than good in that long run. The gaming community may be irrevocably damaged now, but I don't think it's too late. The hype got the better of me. After reading, listening, and watching so much about Bungie's new magnum opus, I had to try Destiny for myself. So when the Destiny Alpha opened on the PlayStation 4, I downloaded as fast as my wireless router would allow. The Alpha had potential. There were a few missions to play in the Old Russia, Earth, zone. I wanted to see them all. I rolled a Titan, the soldier/tank class, because I am terrible at shooters. I needed a class that would let me play a little dumb and still survive encounters. I didn't play a lot, but I had fun trying to reach the level cap. The Beta also showed potential. I almost didn't get in, but the folks at NeoGAF had my back. I played as much as I could and even made it to the bonus mission on the Moon. My daughter, who normally will not give up her reign over the television, sweetly let me log in with just fifteen minutes left to access the mission. And that brings us to launch. The game, as launched, has a lot of potential. 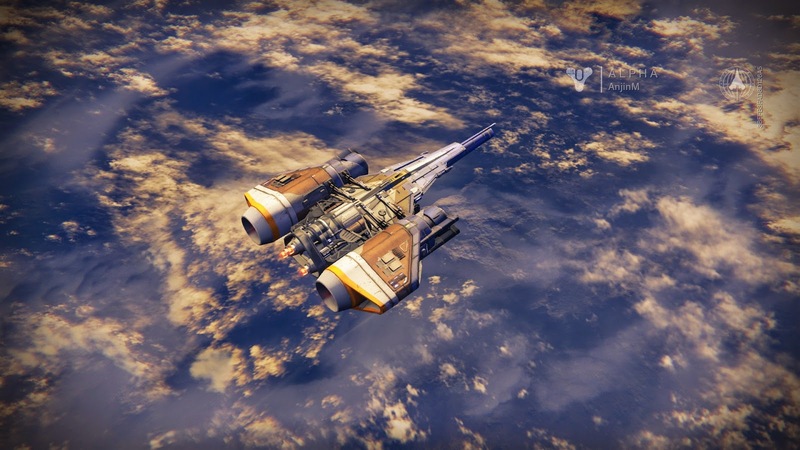 I've been playing since Destiny came out. 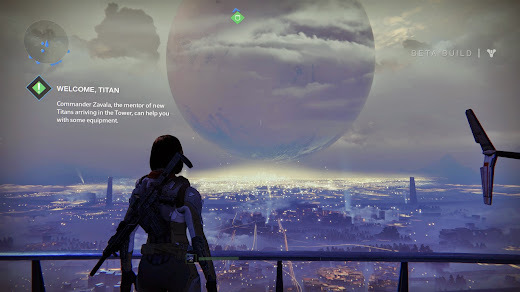 I stay up to late, trying to complete one last mission, one last patrol, one last bounty.... Even though I agree with the middling reviews, the game is still enough fun to keep me going. All the way up to level twenty. I can't stop playing the game. It don't help when my daughter asks if we can visit "our friend" (my character) to see how she is doing. She cuddles next to my so I can protect her from the bad guys. She points out loot chests when she spots them. So sometimes I'm playing just so she can watch me jump around on the Moon. AnjinM on PS4 if you want to help keep her entertained. But shooting at a black hole for hours on end isn't our dream for how Destiny is played. Our hope is that social engagement in public spaces is only one part of the Destiny experience. Expect changes soon which decrease the efficiency of cave farming and correspondingly increase engram drops from completing activities. You have to give Bungie credit. They know how to write. At least their bloggers do. Maybe they should help write the game next time. I just last night reached level 20, so I never spent any time farming the cave. I strongly dislike exploiting, so there was no chance I would have done so anyway. 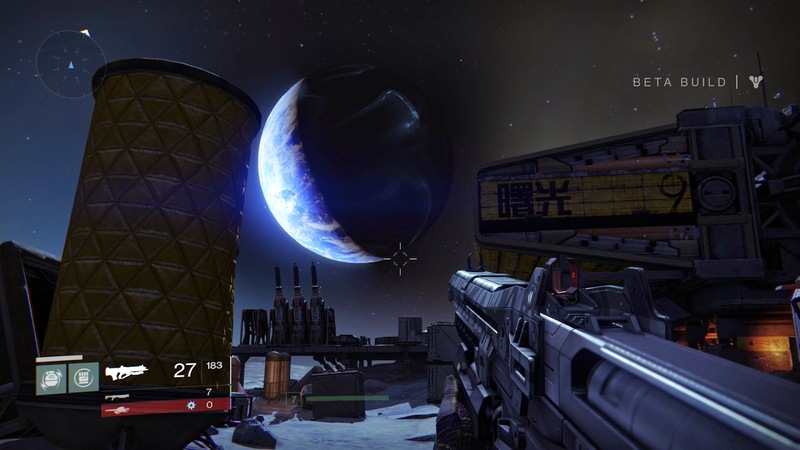 However, I'm glad Bungie finally got around to plugging this hole. 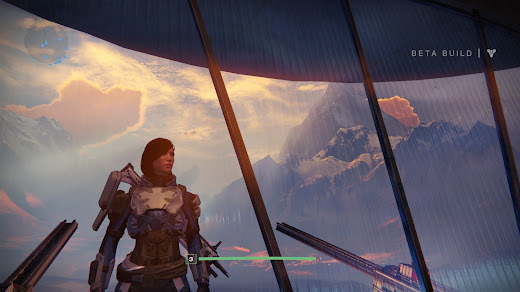 Does blogging about Destiny qualify me as an MMO Blogger again? Please? News Filter: Microsoft to Mojang: "I heart you $2,500,000,000 much!" Today is an incredibly exciting day for our team as Mojang and the Minecraft franchise join Microsoft. Minecraft is one of the most popular video games of all time, with more than 100 million downloads, on PC alone, from players since its launch in 2009. Minecraft inspires millions to create together, connects people across the globe, and is a community that is among the most active and passionate in the world. Our relationship with Mojang began when we initially talked to the team about bringing Minecraft to the console. Minecraft quickly became the top online game on Xbox Live, with over two billion hours played on Xbox 360 in the last two years. That working relationship set the ground work for other opportunities. We’ve long seen the incredible potential of Minecraft. At Microsoft, we believe in the power of content to unite people. Minecraft adds diversity to our game portfolio and helps us reach new gamers across multiple platforms. Gaming is the top activity across devices and we see great potential to continue to grow the Minecraft community and nurture the franchise. That is why we plan to continue to make Minecraft available across platforms – including iOS, Android and PlayStation, in addition to Xbox and PC. The Minecraft community is passionate and diverse, ranging across all ages and demographics. We respect the brand and independent spirit that has made Minecraft great, and we’ll carry on the tradition of innovation to move the franchise forward. Our investments in cloud, Xbox Live and mobile technology will enable players to benefit from richer and faster worlds, more powerful development tools, and more opportunities to connect with the Minecraft community. We’re excited to confirm that MINECON will continue next year. We’ll look to create even more ways for the vibrant community of YouTuber’s, innovators, bloggers and players to connect with each other – both in person and online. We will have much more to share in the coming months. The Minecraft team’s unique vision, creative energy and innovative mindset make them a perfect fit alongside our other global studios. Microsoft Studios includes 343 Industries, Turn 10 Studios, and Lionhead Studios just to name a few. These industry-leading game studios within Microsoft that have had great success with beloved games and massively popular franchises like Halo, Forza, and Fable. We’re excited to welcome Mojang to the Microsoft family and we are thrilled to support the success and longevity of Minecraft for years to come. It has been easy to see that running a massive company was making Notch profoundly unhappy. Here's hoping over a billion dollars makes things a little easier for him. I don't have much commentary to add. Minecraft is one of the foundational games (much like Doom was in the 1990's). As such, it would be a shame if Microsoft killed the golden goose. But the game is much bigger than Notch now. It's bigger than Mojang, certainly. Let's all hope for the best. I self-identify as a gamer and I have zero regrets doing so. It's currently not in fashion to say so. What with how people have attacked Zoe Quinn, Phil Fish, and Anita Sarkeesian. With how people have attacked various online services. With the protests about integrity in game journalism. With how Kotaku and Polygon are reacting to their employees usage of Patreon. So it's open season on gamers because several of them are awful, emotionally stunted monsters. Great. But it seems like I can't turn around on the internet today without being told to toss aside the gamer label. Because what we call ourselves is the issue, right? Because identifying myself too closely with games is the issue, right? As if all we are is consumers, right? As if how I live my life is not up to your standards, right? Right? One of the things I advocate in any online community I participate in is that we have to police our own. A community doesn't get to pretend that the bad actors don't count. We are how the world sees us. And the overall gaming community has a problem. We need to own up to the hatred that is being spread and speak out against it. Passivity makes us complicit. So if I have not made this clear before, let me say it now: there is no place for hatred in gaming, or in the world in general. This is not how we should be treating people. We should be sharing our love for the medium, not excluding those we disagree with. Gaming could be so much better with more, varied people in it, not less. I'm a gamer. I love games of all kinds. I may share this space with a lot of terrible people, but it has also brought me some of my closest friends. And there is room for many more. Being a gamer, I cannot help but examine the situation in the town of Ferguson, Missouri, from a design perspective. What are the sides? What are the rules? What are the win conditions? On one side, you have the police, tasked with keeping the peace and protecting their power, primarily through the threat of their military arsenal. On the opposite side you have the agitators, attempting to stir up chaos through property damage and violence. And in the middle you have the protesters, the people of the town how are fed up with being terrorized, putting themselves between two terrorist groups to prove their point. But since the police and the agitators have no problem putting the protesters in the meat grinder to further their cause, their only win condition is to survive. There have been several times over the course of the week that I have tried and failed to get a grip on what is happening. The police absolutely have to insure the safety of the community. And since the night time protests act have cover for black bloc agitators to assault the police, vandalize, and loot, the police do their very favorite thing: wield indiscriminate power against the citizenry. The police rule not through trust, but through intimidation, and that is what they are doing every night. The agitators' end game is more nebulous. Who knows if they want an uprising or if they just want to see the world burn? So although many think they want a straight up confrontation with the police, I fear there is something more sinister. I fear that what they really want is for the police to expose the depths of their violence and start killing the protesters. My wife asked me why, with all of this going on, do the protesters keep doing it? I couldn't answer her then, but I know now. As soon as the protests stop, the eyes of the world turn away. The police get to sweep this all under the carpet, no one is ever charged in the killing, and life returns to normal, as horrible as normal is to the people of Ferguson. And then Michael Brown is nothing but a footnote in a history book America would rather forget anyway. This is too important to forget. There has been some interesting news coming out of Cologne for 2014's Gamescom. Rise of the Tomb Raider becomes an Xbox exclusive - I woke up yesterday to a twitter feed full of incredulous reports that Tomb Raider had gone exclusive. Of course, the word "exclusive" has been twisted to so many dark purposes that no one understood what just how exclusive this exclusive was. Of course, it's not Phil Spencer's job to explain what other platforms the game might launch on. And Crystal Dynamics doesn't want to undercut the deal they made to launch on Xbox by confirming they would eventually launch on other platforms. Since then, the Xbox team did reveal that the exclusivity was for a fixed duration, but the internet is already on fire. About a game that won't be out for more than a year. Yay. Bloodborne hands-on demo - If there is any game on the horizon that makes me glad I chose the PSR over the XB1, it is Bloodborne. There are people playing it right now and I'm not one of them. I am so jealous! Even though I can't be there, it has been exciting to read about how it differs from the Souls games. In the middle of a pretty horrific week, it is good to have something to reminding that not everything is terrible. Did you hear anything from Gamescom that got you excited? It has been a windy road that lead me to finally playing Tomb Raider, the modern, gritty reboot of the classic franchise. I first played the opening hours when my brother brought his Xbox 360 copy along for a visit. I liked it, right up until I screwed up several quick time events. Eventually, I put the game in my Amazon wish list because I thought it would fun to play on my new PS4. Then around my birthday, I bought a new computer and started reinstalling Steam games. As I was combing through my library, I discovered that past me had the foresight to pick up a copy during some sale. I thanked past me for looking out for me and installed the game. I'm not one of those people who are sick of gritty reboots. In the hands of a deft storyteller, I like the new Lara. I like how she overcomes her challenges because she knows she is the only one who can. I like watching this woman discover that she is extraordinary. (I don't like the much too real death animations, but they don't seem to linger as much as I remember.) It hit me when we (Lara and I) reached the top of the radio tower. This woman does not believe in herself, but she's willing to do the hard work anyway. And as she goes along, she builds in confidence until she is ready to take charge of her situation. It's actually a very subtle change that happens over the course of many hours. One concession to playability I made was to turn the combat difficulty down to easy. The last thing I want to do is replay multiple firefights when the exploration and story are what I'm really looking for. I cursed that there was no difficulty setting for the quick time events, but they seemed a little easier in this PC version. At least, I only died needlessly several times instead of the relentless cavalcade of horrific murders my slow fingers committed over and over again. When it's at its best, Tomb Raider makes you feel like you are exploring a neatly crafted, if fairly linear, puzzle-like world. The back story establishes why the enviroment can differ so much from level to level. Unlike the Assassin's Creed games where you hold your stick in a direction and your avatar climbs, traversal feels like an active process. Various clues inform you of which actions to perform without flashing button prompts on the screen. I did not one hundred percent the game, but I came away satisfied. The ending was intense, and there was no massive boss monster to overcome. Tomb Raider is likely to be one of my favorite games of the year. Usually I write these blog posts because I want to share my thoughts with the world. Not so much this one. I just want a place to keep links to all of these great articles about Bloodlines. You should read them, but this one is all for me. Vampire: Bloodlines – Heather and Me by Kieron Gillen, April 9, 2008 - Kieron Gillen reminisces on his interactions with one NPC in the game and how it made him evaluate how far he would go in becoming a creature of the night. Forever Young, The Tragedy Of Bloodlines by Jim Rossignol, February 11, 2009 - Jim Rossignol discusses how this massive game went wrong and why it is worth playing anyway. Retrospective: Vampire: The Masquerade - Bloodlines by Lewis Denby, July 4, 2009 - Lewis Denby reassesses Bloodlines, making a case for why this broken masterwork is still worth experiencing. Reanimated: The story of Vampire: The Masquerade Bloodlines by Rick Lane, July 10, 2013 - Rick Lane discusses Bloodlines' troubled development and what the extraordinary lengths the community has done to patch the holes as best it can. S.EXE: Vampire The Masquerade – Bloodlines Part 1 by Cara Ellison, June 20, 2014 - Cara Ellison tackles the sexuality inherent to the vampire mythology and who it is represented in Bloodlines. Is anyone else weirded out that all of these articles come from the UK? Warning: I am about the bend the definition of "Played Lately" far beyond to bounds of our reality. Please wear proper eye and respiratory protection while in contact with this blog post. Dark Souls - I finally completed Dark Souls on February 7, 2014, twenty-eight months after it was released. Were I to name a "Game of the Generation" (which I'm really thinking about doing), it would be a contender for the top spot. Dark Souls does not waste any time explaining itself. You get a tutorial about how to use the controls, and then they throw a giant demon at you. That sink-or-swim attitude drove many people away. But the positive word of mouth that made the game a phenomenon is not wrong. It rewards patience and planning, not reflexes and button mashing. Combat is not fast paced. It is thoughtful and deliberate. You can't bend the game to play like you would any other. It teaches you to play its way or not at all. I love that each combat is deadly. There are no filler encounters. You take each fight seriously or you will die. Of course, I did play it wrong. I had the wikis and maps to guide me through. But even with their assistance, I had to make my way through the game. I had to fight the bosses and I had to win the game. I was a gaming experience I will not soon forget. Kingdoms of Amalur: Reckoning - What better way to follow up one of the most intense fantasy gaming experience of the decade than with a flashy, action intense epic like Reckoning. While a good game, it didn't blow the world away. It very much feels like a cross between The Elder Scrolls and World of Warcraft. It's a big, single player MMO and it looks beautiful. I can't get over how pretty everything is. Of course, I had other things to do so I put it down and moved on. But it actually is a neat game. Disney Magical World - Have you ever played Animal Crossing but wished it was an actual game? That's what Disney Magical World is. At the start of the game, you receive an invitation to Castleton, a magical crossroads for various Disney worlds. Upon arrival, you learn how to shop, dress, fish, harvest, craft items, and run a cafe. Then once the tutorial is over, you are sent to one of the other lands to defeat the ghosts who have overrun them. Progression is gated by achievements via the sticker book, so there is always guidance for how to advance though the game. If you are a Disney fan, this a cute, fun adventure. Dark Souls II - Then I put everything else down to play Dark Souls II. There is a lot to recommend this game. The: combat is intense and the world is expansive and full of reward. But it does not have the same spark that Dark Souls did. I don't know whether to blame me or the game. But I did not find the same awe I found in the first game. I appreciate anyone who happens to read this post. It has been a while since I last wrote for real and I've been missing it. Rise of the Tomb Raider - Seeing this trailer reminded me that I never played last year's Tomb Raider beyond the first few hours. I had even forgotten that I bought the game during a Steam sale several months ago. So I have some catching up to do before the new game comes out. For any naysayers about how Lara is being treated in this trailer, look at posture, the scars on her hands, and the way she cracks her knuckles. She is not some meek girl traumatized by her experience. I suspect she is there because she has to be and the real therapy is what is happening in the other half of the trailer. Watch and decide for yourself. Bloodborne - After finishing Dark Souls and Dark Souls II, I find I am no longer entralled by them as I once was. But if Bloodborne is a good as this trailer (and other leaks) implies, then I will be helpless against being sucked into that world again. From Software did something special with the Souls games by making me eager to test myself in ways I didn't think I was capable. So if they can preserve that feeling in this new, beautiful and facinating world, I will eagerly take on their challenge again. Grim Fandango - Any article about Grim Fandango will indubitably append the word "classic" to its description. I never played the game, so I'm taking everyone's word that it is a classic. That's why I was excited to see that Double Fine would be releasing a updated version. I'll finally be able to see what everyone was talking about. No Man's Sky - The hype for Hello Games' new game has buried the needle on the ballyhoo meter. (Eff yeah, thesaurus.com.) It is hard not to get caught up in the excitement. IF (with a capital IF) the game really does everything these trailers imply, it could be amazing. I keep my figures crossed. The Legend Of Zelda WiiU - I have not been excited for a Zelda game since Ocarina Of Time. Not that I think the newer games are bad. They just haven't been enticing enough to make me buy a Nintendo console. This trailer changes things. It is the very worst type of teaser: more fluff than substance. But it is very beautiful fluff. I can't wait to see if the game lives up to the expectations the trailer sets. Okay, you got me. This post was just an excuse to post a bunch of trailers. Nevertheless, what did you see at E3 that has you excited? According to Kotaku, one of the old guard of MMO development is being closed by EA. Mythic Entertainment, best know for Dark Age of Camelot and Warhammer Online: Age of Reckoning. Of course, they are also known for the terrible Ultima Forever and Dungeon Keeper mobile games, so maybe it is not a great loss. We are closing the EA Mythic location in Fairfax, Virginia, as we concentrate mobile development in our other studio locations. We are working with all impacted employees to provide assistance in finding new opportunities, either within EA or with other companies via an upcoming job fair. To EA, Mythic is just another mobile developer to be folded into their other studions. Amazing. There is no way a game developer can go out on top. Every good company is destined to fade out, far from their best achievements. At one time, DAOC was a contender for the MMO crown. At least until World of Warcraft swept all competitors from the field. I hope they will be remembered for what they built, and for where they faltered. And definitely not for "Bears, bears, bears." Polygon has news that CCP has shut down development on the World of Darkness MMO along with firing 56 employees of in their Atlanta office. I have not been excited about MMOs for a long time. I have slid so far that the most interest I can muster is for an WoW emulator. But CPP and WoD seemed like a match made in heaven, if they could get it off the ground. It's too bad that it won't.